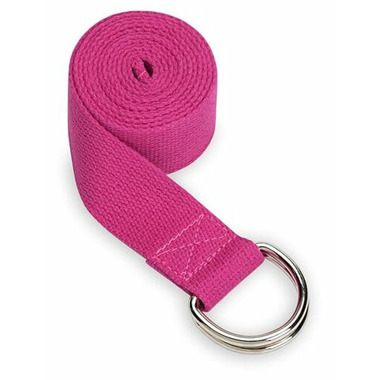 We can all use a little help to get deeper into certain poses and stretches, that’s where the Cotton Yoga Strap 6’ comes in. Reach limbs more easily and hold poses and stretches for longer with a strap. If you're serious about deepening your practice and taking it to the next level, it's time to get serious about using a strap.